As reported by Deadline, Joel McHale has just signed on to be a guest star on Fox’s X-Files revival, dashing the hopes of anyone who expected it to be nothing but Mulder, Scully, Skinner, and the Cigarette-Smoking Man hanging out and talking about aliens without any guest star-related interruptions. McHale—who, of course, plays (played?) 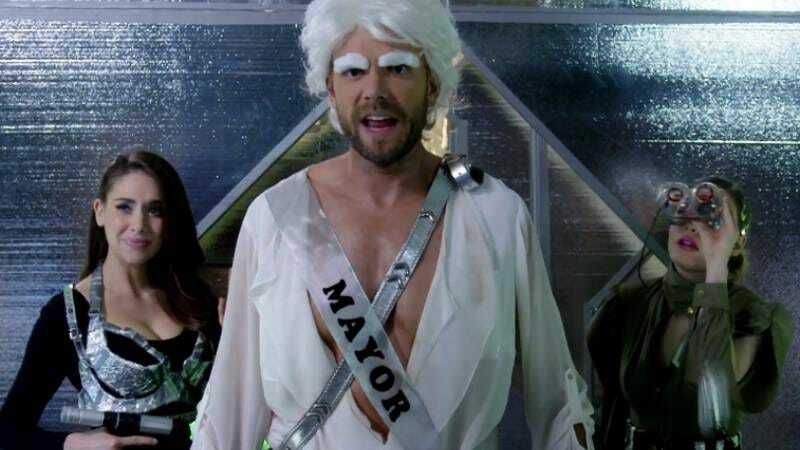 Jeff Winger on Community—will be “the anchor of a popular conservative internet news network who becomes an unlikely ally for Fox Mulder.” That makes it sound like he’ll be a kind of Glenn Beck-style character with the abs of Jeff Winger, which is already scarier than a lot of the monsters that showed up in The X-Files’ original run. Apparently, X-Files creator Chris Carter is a fan of McHale’s, so he offered him this role after hearing that McHale was looking to take on more dramatic work. McHale appeared on Sons Of Anarchy, so a dramatic role isn’t totally unheard of, but it’ll be fun to see him again in another beloved TV show now that Community is maybe done forever. If Community does come back, though, being on The X-Files will give McHale an opportunity to ask David Duchovny and Gillian Anderson to be the new Annie and Abed.